We recently bought a cabin up north on the lake and the one thing my husband and I dream about most is drinking a hot, delicious cup of coffee in the early morning together while sitting on the dock. 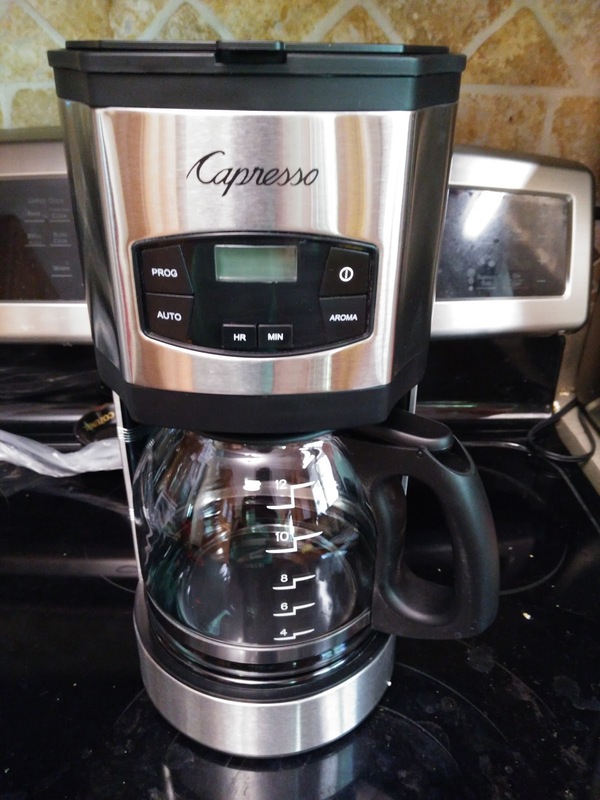 Well, in order to get a great cup of coffee, you need to have a great coffee maker and I trust no one more than Capresso! I was looking for a 12-cup coffee maker that brews ground coffee and they had the perfect option for me with the SG120 12-cup Coffee Maker! My husband LOVED getting this coffee maker for the cabin! With the fully stainless steel wrapped exterior the space-saving SG120 12-Cup Coffee Maker is a beautiful addition to any modern kitchen. 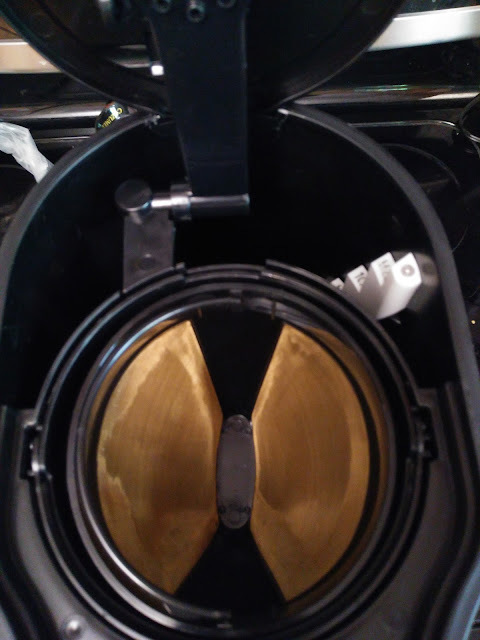 I can't wait to wake up to the SG120 brewing us up a fresh cup of coffee every morning this summer It brews 12 cups of coffee in under 10 minutes for maximum flavor and aroma! Plus, it features a fully stainless steel wrapped housing for superior strength and style and a glass carafe with ergonomic handle that has brew-through lid and drip-free pouring spout! It is easy to use but looks great on any kitchen counter! Another feature I love is the permanent GoldTone Filter that is easy to use and clean and requires NO paper filters! Forgot to buy filters at the store? NO PROBLEM with the SG120 coffee maker! 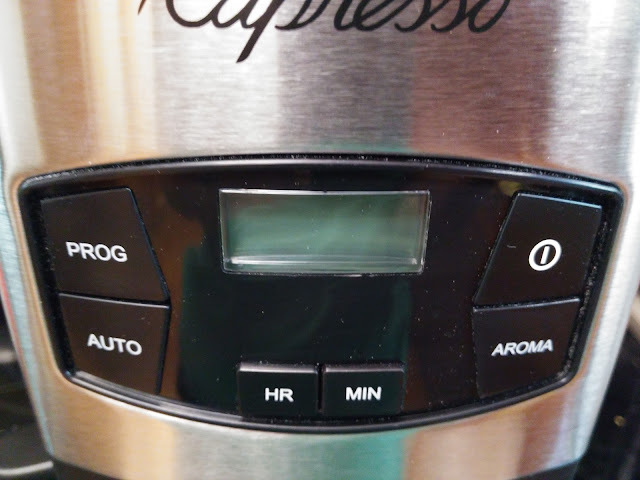 And I don't have to wait to make my coffee in the morning because I just set the 24-hour programmable clock/timer with easy-to-read blue backlit LCD display and it is all brewed by the time I wake up in the morning! Brewing a great cup of coffee is a science. The amount of time the water is in contact with the coffee grounds directly relates to the final taste of the brew. All Capresso coffee makers brew coffee in less than one minute per cup for coffee that will never be over extracted or bitter. The SG120 offers a full stainless steel machine body, and a 12-cup capacity in a surprisingly compact footprint. You just can't go wrong with this easy to use, sophisticated and delicious coffee-making coffee maker! And if you are struggling for a gift for Dad or for the grad in your life, this coffee maker makes the perfect gift for both or either! Capresso is generously offering (1) SG120 coffee maker to a lucky winner!